Poor little Sprint stands to be the biggest loser if AT&T's proposed $39 billion acquisition of T-Mobile is allowed to go through in what some fear would effectively create a duopoly with Verizon and AT&T/T-Mobile controlling the market. But regardless of what happens with that deal, Sprint has an ace up its sleeve: Unlimited data. Sprint is the only major carrier to still offer a true unlimited data plan, one that's devoid of overage fees, data caps, or throttled service once a user goes over a certain threshold. No other wireless carrier has deemed such a plan to be financially feasible, so surely Sprint will cave in like the rest of them did, right? Maybe not. 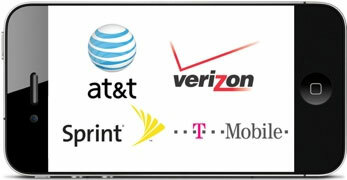 According to a Bloomberg report, Sprint will retain its unlimited data plan for the upcoming iPhone 5 launch. Citing "people familiar with the matter," Bloomberg says the device will go on sale in mid-October, and that Sprint will be the only one offering an unlimited data plan for iPhone 5 users. If true, this could be a huge deal for Sprint as it looks to compete with all the major wireless carriers who plan to carry Apple's upcoming flagship device. Even just carrying the iPhone puts Sprint in a better position. "It's a competitive disadvantage if your two larger competitors have the iPhone and you don't," Matthew Thornton, an analyst at Avian Securities LLC, told Bloomberg in an interview. "Getting the iPhone closes the gap." None of this is official, of course, and Apple hasn't announced when the iPhone 5 is coming and which carriers will have access to the device. But it's believed the iPhone 5 will end up in everyone's hands (Sprint, Verizon, AT&T, and T-Mobile). With streaming video (Netflix), FaceTime, cloud-based storage lockers for music, and other data consuming services becoming commonplace, Sprint is setting itself up to be one of the more attractive carriers in the next iPhone round.